Whether a death was unattended, natural, or from another cause, it needs to be cleaned up as soon as possible. Crime Scene Clean cleans up unattended deaths, natural deaths, and other forms of death for grieving families and property owners. We understand this is a tough time for all involved, and the sooner the area can be cleaned and disinfected, the sooner the space can be used again, whether by you or someone else. We also understand that you may not want to use the area again following what has happened, but the space still needs to be cleaned and disinfected to prevent the spread of germs and other bacteria. Contact us today and we will come out to your location in our unmarked trucks (for discretion purposes) and clean the scene. We are bonded and insured and up to date on OSHA and EPA regulations for after death cleaning, and we will make the sure area can be used by someone once again. Also, we work with insurance companies for every cleaning job we do, so there will be no out-of-pocket expense to you, except for possibly a small deductible. Give us a call today and we will come out and try to ease some of your pain. Unattended deaths are defined specifically as sudden and unexpected deaths that happen away from a doctor’s care, whether at the home or another location. But many unattended deaths, in layman’s terms, happen when no one else is around. These deaths often catch people by surprise and they are unprepared for the steps they should take. After you call 911 and the authorities come to assess the situation, determine if there was foul play, perform an investigation and take away the body, the next step is to have the area cleaned and decontaminated. It is very common in the crime scene cleanup industry to work with property owners and landlords regarding an unattended death, whether they have apartment complexes, hotels, or something else. No matter what type of property you have, or if the unattended death was at your own home, it is very important to have the area cleaned and any irremediable material disposed of. The longer that a body stays in the location, unfound, the more chances for bacteria and other pathogens to spread. We have cleaned up many locations where a person was not found for days or weeks following their death, and while it is difficult for family members to comprehend this, it is not safe for people without the right equipment to be in the area, much less clean up the scene after authorities have taken away the body. This is the time to have trained and certified crime scene cleanup technicians at the scene. Diseases from blood borne pathogens can be acquired, along with other bacteria, by anyone who isn’t properly fitted for the cleanup. Crime Scene Clean will clean up the entire area, and dispose of any material that can’t be properly disinfected. We follow OSHA and EPA guidelines and will ensure that the area is completely clean when we are finished, no matter how long the now-deceased went undiscovered. 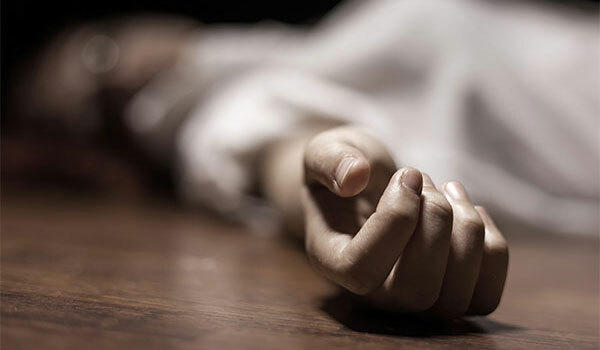 Natural deaths fall into the category of unattended, but they often happen when the person is alone, and by definition there was no foul play. Again, these deaths can go undiscovered for quite some time, and it is important to have trained professionals handle the cleanup following the removal of the body. Our technicians have plenty of on-the-job experience and will thoroughly and completely clean the area following a natural death. Contact our team today and we will come out in our unmarked trucks and take care of the job for you. Crime Scene Clean uses unmarked trucks for your discretion. We understand this is a difficult time, and our presence only brings up more questions for people. When we are able to work unnoticed, you will be met with fewer questions after we have left. Contact us today for no out-of-pocket death cleanup today. Crime Scene Clean provides our death cleanup services to many southern states and cities, including Texas, New Mexico, Oklahoma, Louisiana, Kansas City, and more.